Yesterday's Samsung Galaxy S5 event had one curious omission. If you looked at the spec sheet you'd notice that the company was seemingly only offering the Qualcomm Snapdragon 801 SoC for its latest flagship with the usual Exynos variant nowhere to be found. 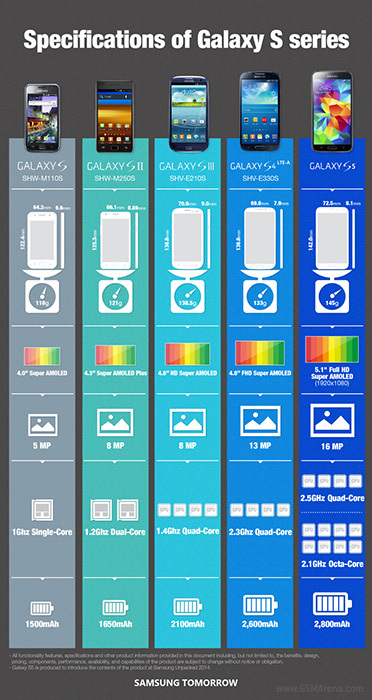 Turns out, there will be an Exynos variant of the Galaxy S5. According to a blog post by Samsung (which has now been redacted for some reason), the company will offer a 2.1GHz octacore variant of the Exynos SoC for the Galaxy S5. It is unclear whether this will be limited to select markets or if Samsung will adopt its previous strategy of keeping the Qualcomm model US exclusive and offer the Exynos model in all other regions. If that is the case, hopefully the Exynos model won't lack any major features, such as 4K video recording, the way it did on the Galaxy Note 3. The exact Exynos model is unknown. We will probably find out more when Samsung announces it officially, along with its availability on the S5. Dont bring the Exynos chipset to South Africa, we want Qualcoms chips. I currently have the s4 with the Exynos chip, it lags a lot. Awe. Same troll trolling another samsung page...So convincing. Yeah, right. Try that now Samsung. Terrible.